Authorized personnel only: target practice range on the former battlefield. 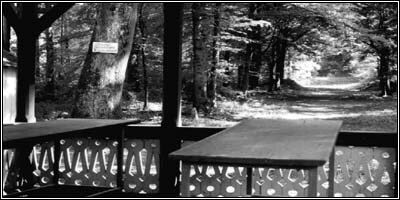 In 1820, part of the historic battleground on Bergisel was converted to a rifle range for the Tyrolean Regiment of the Kaiserjaeger, the elite imperial troops. Emperor Ferdinand I attended the gala display of marksmanship held there in 1838. At that time there was already a park with a pavilion and various booths providing entertainment. The general public was allowed to use one of the "shooting stands".